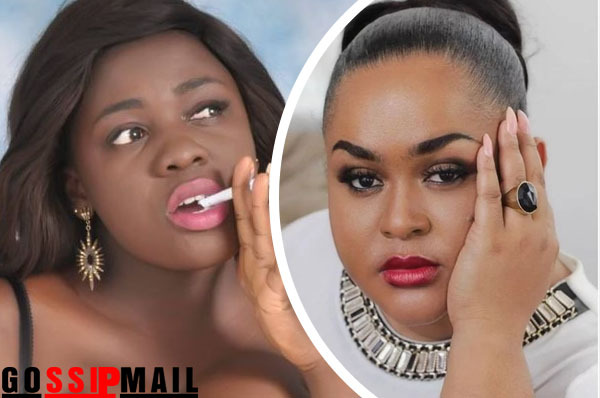 Ghanaian actress Tracey Boakye has appreciated Vivian Jill Lawrence for stopping her from aborting her only son when she planned to terminate the pregnancy. The CEO of Shakira Films in a conversation on Celebrity Ride With Zionfelix show disclosed that she had the intention of aborting his son three years ago when she realized that she was pregnant for his then boyfriend, Yaya Mohammed. Giving reasons for her determination to get rid of the pregnancy, the ‘Devil Between My Legs’ actress revealed that the former Kotoko player dumped her after she conceived and was not ready to father a child. Tracey continued that money was not a problem because her family was ready to take care of the child but the lack of attention and love from a man during the pregnancy period tempted her to have an abortion had it not be Vivian Jill Lawrence. On how her Godmother saved the child, Miss Boakye told Zionfelix, host of the show that Vivian Jill Lawrence asked her not to contact her again if she proceeds with her plans to abort the pregnancy. The mother of one added that the threat changed her plans to get rid of the child who was few months old in her tummy. "It was Vivian Jill who threatened to stop talking to me if I abort the child. In fact, I was tired of crying everyday. I didn't have a financial problem because my family was always ready to support but I never had attention and love from the man during the pregnancy period so I decided to get rid of it and move on with my life. The time I planned on aborting the child, I had already told Vivian so she asked me to delete her number if I implement my plans so I just had to stop what I wanted to do. That was the best decision she (Vivian Jill Lawrence) helped me to take" Tracey Boakye told Zionfelix on the show.